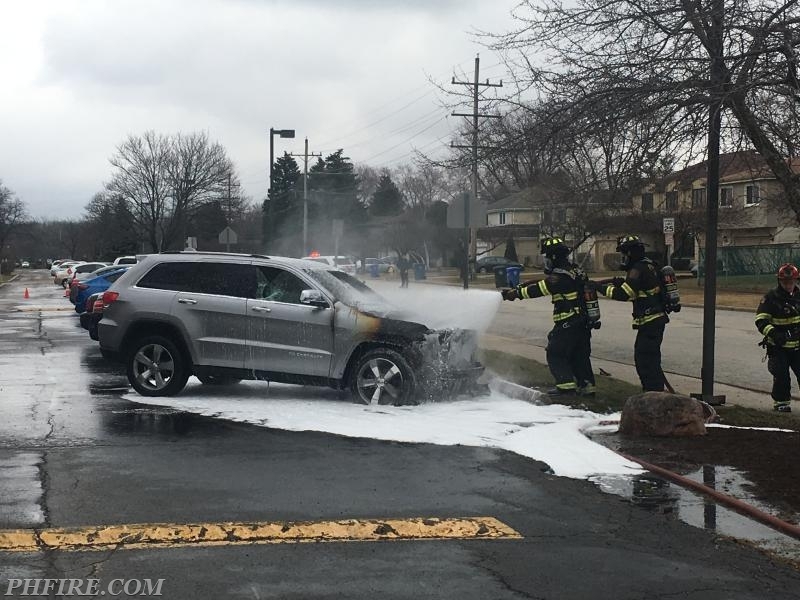 At 11:04 a.m. on Tuesday, March 27 the PHFD was dispatched to a car fire at 800 East Old Willow Road. 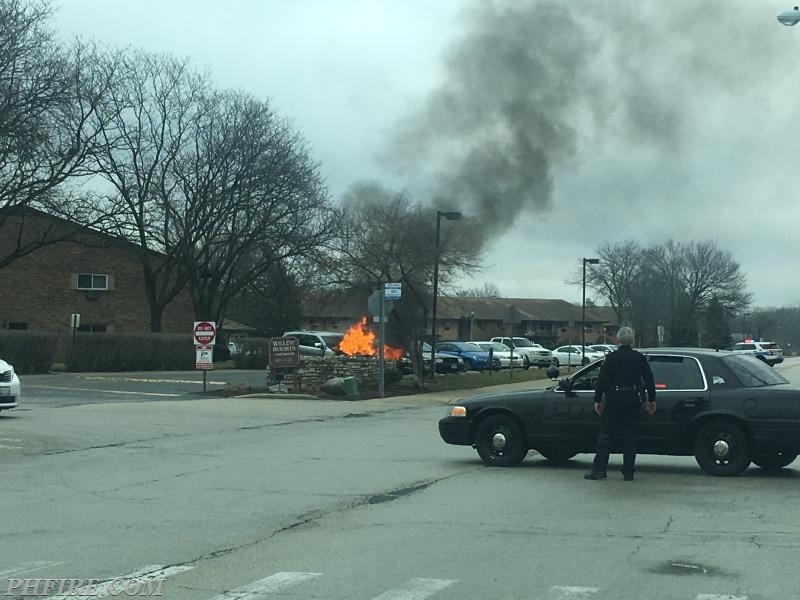 A passerby discovered a parked car was burning and called 9-1-1. Firefighters saw a large amount of smoke and fire as they approached from more than a half-mile away. Firefighters used a hose line to put out the fire. Foam was also used to ensure complete extinguishment. Fortunately, the fire did not spread to any other cars parked nearby. The burning car was a complete loss and not repairable.